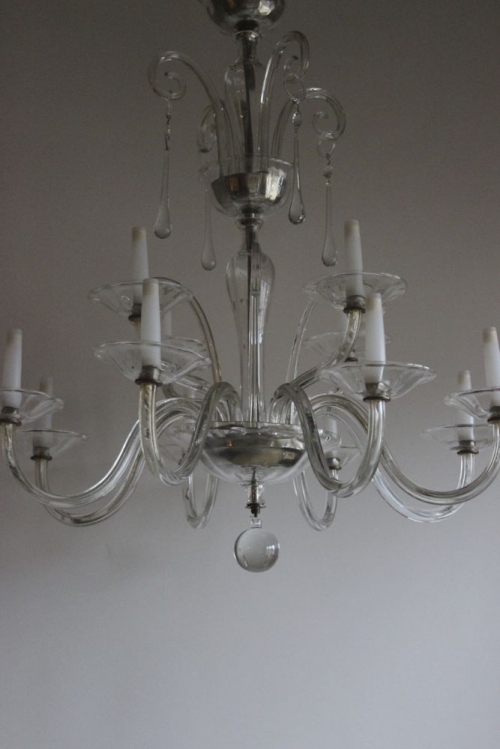 Glass armed antique chandeliers, we always buy them if we can find good examples, here are two examples of antique chandeliers which are so different but each in their own way stunning. The interesting thing about these items one circa 1940 and the other circa 1840 is that they could both hang in similar situations. The antique Baccarat chandelier has masses of cut glass but is so beautifully put together and balanced that it could well look stunning in a more pared back modern interior, or in a classic country house setting, the traditional French interior, for which it was made does not exist in its entirety today (unless one is very lucky) but the Chandelier softens a modern interior and looks great with country house style furniture. 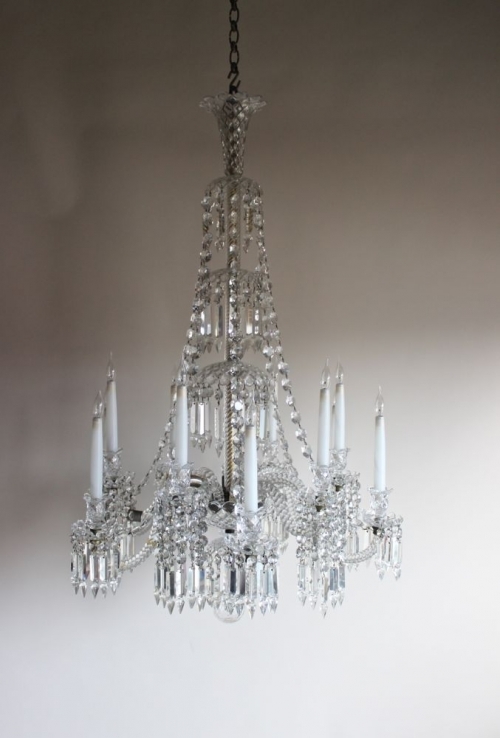 The Venini style glass antique chandelier is of similar size, a little shorter on the drop but a would fill a room with 60s furniture, Deco furniture or country house style particularly if the ceiling is high and it can be hung lower. 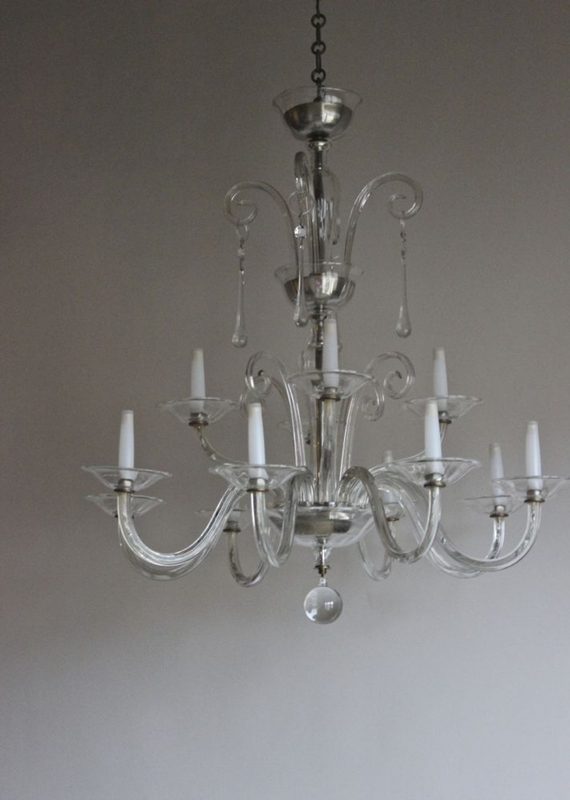 I love to see the setting our clients provide for these types of chandeliers, they are a lot of work to restore and deserve a beautiful setting, rare now to find any! At reasonable prices and these two we are happy to have together.